Application Note - Tool and Die Archives - VISIONx, Inc. The system has no limitations as to part geometry. The system’s proprietary CAD-Auto-Align™ tool automatically lines up the CAD to the part, along one or multiple datums or by doing an overall “best fit”. 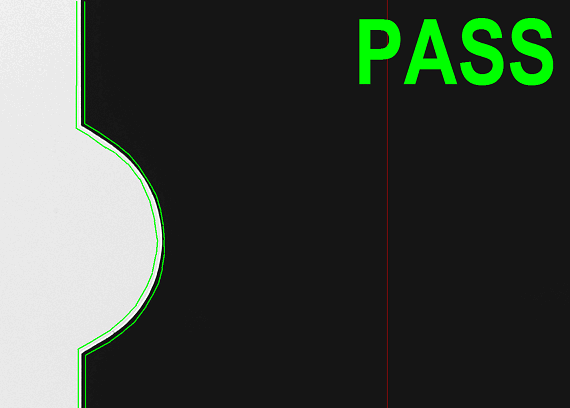 The system’s proprietary CAD-Auto-Pass/Fail™ tool automatically produces an operator-independent PASS/FAIL result. Demonstrated accurate, repeatable and operator-independent results, directly on the shop floor! 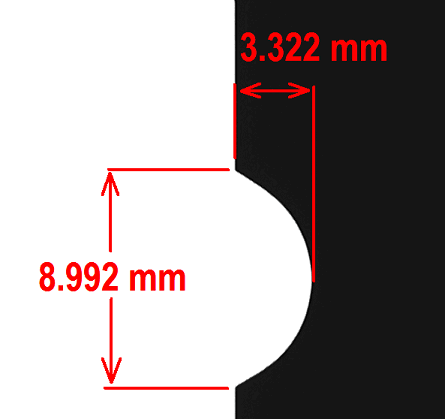 The system supports both uniform and variable tolerances. You can apply tighter tolerances in critical areas and looser tolerances elsewhere. Automatically measure and display deviations from nominal and quickly identify out-of-tolerance areas. Automatically collect measurements, statistics, images and other data for complete documentation. Much faster than traditional approaches and completely eliminates operator subjectivity! The system is extremely to use: it can be setup so that – for the operator – everything is done using the barcode reader. The system is perfectly suited to overcome the challenges of thread rolling die inspection and measurement. No fixturing is required. The system can correct for part-to-part placement variation. Automatically compare a part to its CAD data and get an accurate, repeatable, and operator-independent PASS/FAIL result. The system produces extremely crisp and clear super-high-resolution images. You can see all of the fine details on your part! 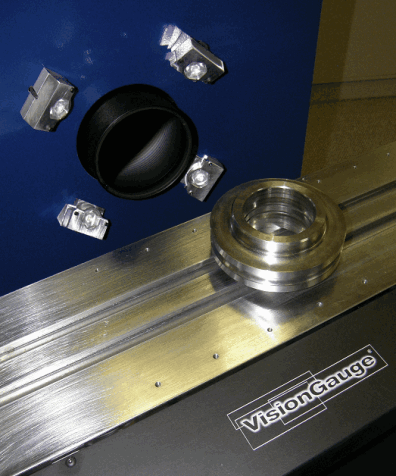 VisionGauge Digital Optical Comparators have a broad set of high-accuracy measurement tools. The VisionGauge® Digital Optical Comparator is the new standard for carrying out fast and accurate inspections in the thread rolling die industry. 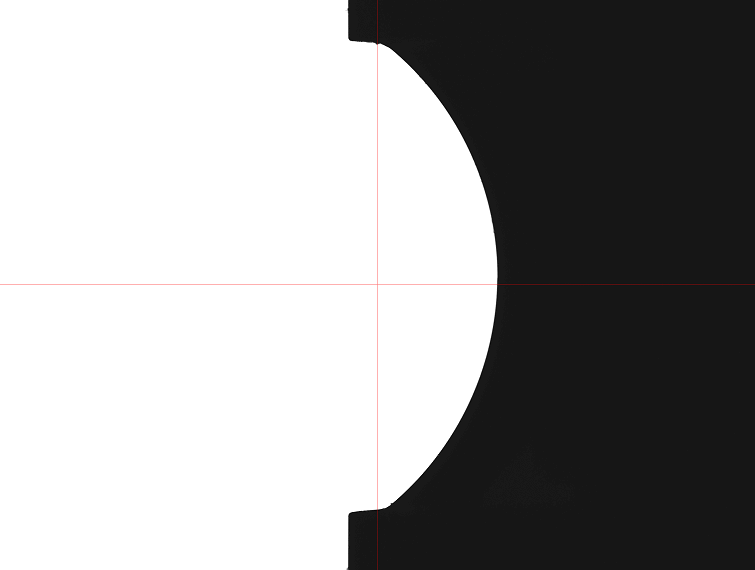 Download a .pdf version of this VisionGauge® Digital Optical Comparator Application note here.